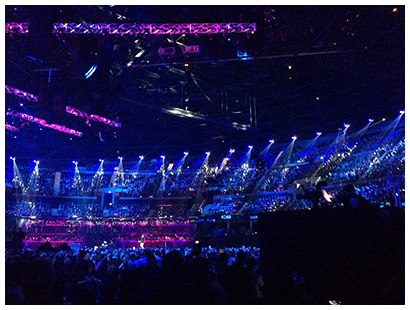 This month’s Throw Back Thursday flashes back to the 2014 MTV Europe Music Awards. For once Jason, India and their team of stylists (Cat Nicholson, Tammy Waugh, Amber Lennie, Lynsey Wilson, Natalie Cole and Stephen Suckling) didn’t require passports to travel to look after the artists and presenters as the prestigious awards ceremony was held here in Scotland, in the city of Glasgow. Helping celebrities get ready for their close up is all in a day’s work for the Charlie Miller team and 2014 marked the twelfth consecutive year of being appointed official hair stylists at the MTV Europe Music Awards. 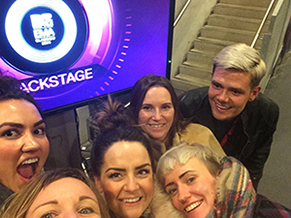 While the glitz, glamour and excitement reached a crescendo in the auditorium, our team were busy backstage, working their magic on hundreds of stars, presenters and performers and adding last minute finishing touches before they stepped into the spotlight. With everyone from A-list artists to troupes of backing dancers to look after against a ticking clock, the pace and turnaround is relentlessly fast, especially during the show. 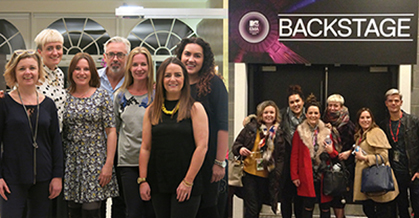 There’s no denying that looking after musicians and movie stars can be an exciting experience but we have just as much fun, at a more leisurely pace, in the salon looking after our clients. Music and fashions may change over the years but a good haircut never goes out of style. Book your appointment today using our online app and we look forward to catching up with your news during your next visit to the salon.